Here are the most frequently asked questions (FAQs) about seam sealer, single part adhesives and two part adhesives. If you don’t find an answer to your question here, then contact us via the chat box or our contact form. You can also email us directly with your query at [email protected] or call us on 0121 378 2909. 1. What are the benefits of using seam sealer? There are many benefits of using seam sealer. For example, there is no mixing required for a single part adhesive. Seam sealer fills gaps and seals seams in metal panels prior to being put through an oven bake cycle. The metal fabricators can spot-weld stainless steel panels and fill gaps. Seam sealer reduces welding time and speeds up production. It becomes very strong when cured in an oven. In addition, seam sealer is overpaintable, it has minimal odour and minimal shrinkage. It is nonflammable and has excellent weather resistance against sunlight, rain, snow and temperature extremes. Seam sealer is available in black and white, and is easy to apply. For more information about our seam sealer products, visit our page Pre powder coat seam sealer 15002. 2. When should I use seam sealer? You can use seam sealer when preparing aluminium panels prior to paint or powder coat. You can use seam sealer to bond car and bus panels quickly. 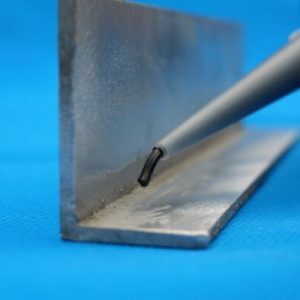 Also, you can use seam sealer to confidently bond stainless steel stiffeners to panels prior to paint cycles in the cladding and commercial facade industries. It is an ideal solution for filling gaps and sealing in industrial manufacturing. Seam sealer also prolongs the life of car repairs following restoration. 3. What is seam sealer for cars? You can apply seam sealer directly onto metal. 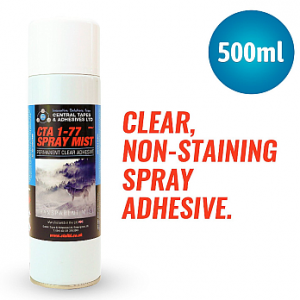 It prevents moisture slipping through the seams of a car, which prevents the potential corrosion that can occur when water and moisture get into the vehicle. Seam sealer is useful for any automotive joint, structural and non-structural, which is not going to be too visible. You can use seam sealer wherever panels join together. For the best results, make sure to use seam sealer after applying an epoxy primer and smooth the product out. 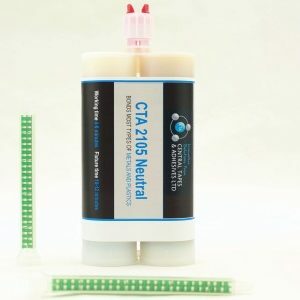 CTA currently provide a Primer and a UV identifiable primer for hard-to-bond surfaces. 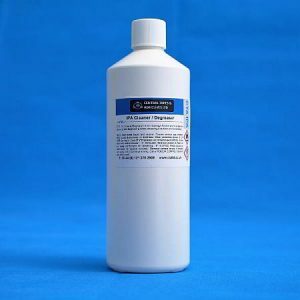 It is always a good idea to prepare surfaces using a degreaser, such as our IPA cleaner degreaser. 4. Is seam sealer paintable? Yes, seam sealer is paintable. Seam sealer should be applied as a bead and then smoothed out for the best effect. Apply seam sealer and pass it through an oven, so that it is cured and becomes paintable. If the sealant was smoothed out well you should be able to paint over it. 5. How do I use seam sealer? Always clean and dry panels before applying seam sealer. Bead some seam sealer onto the seam and then, making sure you are wearing latex gloves first, smooth out the product with your fingers, or with a brush. Be mindful to ensure that you totally seal the gap, as even small flaws can lead to failure. When using seam sealer on something that will not be visible be liberal and spread it out well. 6. Where would I use seam sealer? You can use seam sealer in any application where two panels require bonding. Typical applications include automotive bodywork, heavy duty vehicles and farm equipment, metal fabrications and metal facades. 1. What are the differences between single and two part adhesives? Single part adhesives can be used straight from the tube with no mixing, metering or degassing. They require heat, moisture or solvent evaporation for curing. Single part adhesives have an initiator; a heating element contained within the resin. To reach full cure, single part adhesives require an oven, another heating mechanism or moisture. Two part adhesives cure at room temperature. Typical cure times are five minutes working time and then a 15 minute fixture at an ambient temperature of 16-25°C (60-77°F). 2. What are the benefits of using single part adhesives? One of the main benefits of using single part adhesives is that there is no mixing required, which simplifies the process. Therefore, single part adhesives eliminate waste and accelerate productivity. 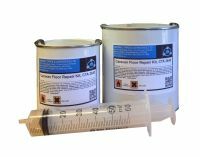 Single part adhesives also remove concerns over mix ratios, weighing, working life and shelf life. Single part adhesives offer outstanding performance properties, long-term durability and easy application. For more information about the single part adhesives we offer, visit our Single part adhesives page. 3. When should I use single part adhesives? You can use single part adhesives when bonding, sealing, coating and potting. You can also use single part adhesives for encapsulation and impregnation applications. 4. What is adhesive curing? Adhesive curing takes place when the single part adhesive is placed in an oven with a temperature above 130°C. Curing develops the adhesion, forming a strong bond. 5. Where would I use single part adhesives? Typical applications of single part adhesives include applications in the electronic, aerospace, medical, electrical, automotive, oil and chemical processing and optical industries. 1. Why would I use two part adhesives? You can use two part adhesives for structural bonding applications requiring very high tensile and shear strength. Two part adhesives are a particularly effective solution for bonding metal to metal, as well as bonding engineered plastics and composites together. 2. What are the benefits of two part adhesives? The benefits of two part adhesives include their high tensile and shear strength. Two part adhesives are able to fill gaps up to 10mm wide, while maintaining structural strength and characteristics. Two part adhesives come in a variety of open / working times from 5 minutes to 50 minutes with a fixture time of 12 mins to 120 minutes. Also, two part adhesives offer long-term environmental durability. For more information, visit our Two part adhesives page for more details. 3. When should I use two part adhesives? You can use two part adhesives to bond metal to metal, or with engineered plastics or composites where a strong bond is required. If you didn’t find an answer to your question here, then please contact us via the chat box or contact form. You can also email us directly with your query at [email protected] or call us on 0121 378 2909.